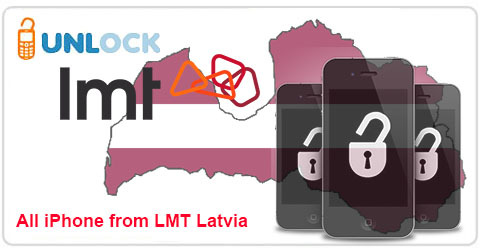 Exclusively for UnlockBase server we are now able to offer a new service to unlock all iPhone from LMT Latvia. Service is working in less than two business days (Monday to Friday) and support absolutely all iPhone from LMT Latvia, including the 6 and 6 Plus ! If the phone is still in contract it can take up to five business days. This is a new exclusive service from UnlockBase Server, all we need is the IMEI of your iPhone and it will be registered as “Unlocked” on iTunes server (Permanent Factory Unlock).